A treat this morning. 3 Trader Joes Dark Yolk eggs, scrambled with cream cheese, a patty of Jimmy Dean sausage, toasted cinnamon raisin bagel w/ Irish butter, and a small glass of orange juice. 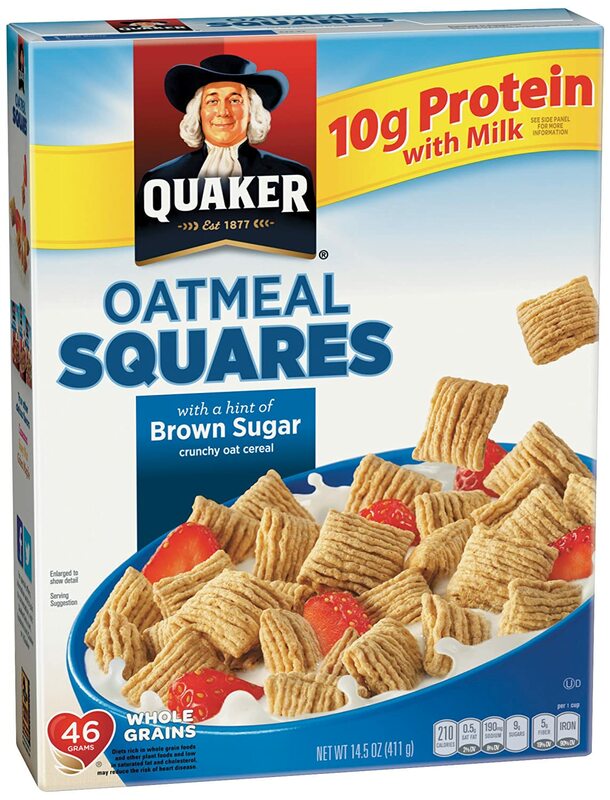 And, oh, I too like those Quaker Oatmeal Squares. Especially with fresh blueberries. Nothing. Intermittent fasting! So I just eat lunch and dinner now, between 12:30pm and 8:30pm. Fresh Texas Ruby Red Grapefruit picked from my front yard tree and a bowl of fresh blueberries. I found a breakfast beerock (bacon) in the fridge! Cuernos filled with cream cheese and jalapenos from a little Mexican bakery around the corner from the office. Mmmm.. that looks so good. I should've had a grapefruit. scrambled eggs and a chocolate protein shake. Trying to go low carb for a while. A boiled egg and some blueberries. Black coffee. On a cold morning in the Desert, two range free eggs over medium, a slice of Jimmy Dean sausage, toasted bagel with Irish butter and Smuckers Blueberry preserves and a glass of Cranberry juice. Wife handed me coupons and sent me on a run for Hardee’s biscuits. This made me very happy. A few leftover from last night lobster raviolis in a kind of pink sauce. Bacon, eggs, and cheese and a chocolate protein shake. This morning it was just coffee. I let myself get carried away with the Mexican pastries the last few days and decided to reel it in. I feel better throughout the day and lose weight better when I don't eat breakfast. But dang, I do love me some breakfast food. I had breakfast for lunch. Cereal, toast, OJ, and coffee. I don't know why but my family is always jazzed when we have a hot breakfast for dinner. Surprising how happy a couple eggs and french toast can make a person.